The Green Acres Program comprises five program areas: State Park and Open Space Acquisition; Local Governments and Nonprofit Funding; Stewardship and Legal Services; Planning and Information Management; and Office of Natural Resource Restoration. 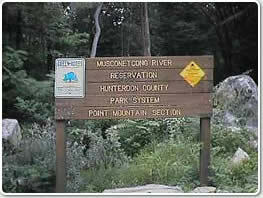 These program areas are supported by the Green Acres Survey Section, and supplemented by the New Jersey Trails System. Click on the program areas, below, to learn more about the way Green Acres is working toward a greener New Jersey. Read about current program successes on our Success Stories page. Other success stories can be found in our State acquisition sites archive and our Local/Nonprofit acquisition sites archive.